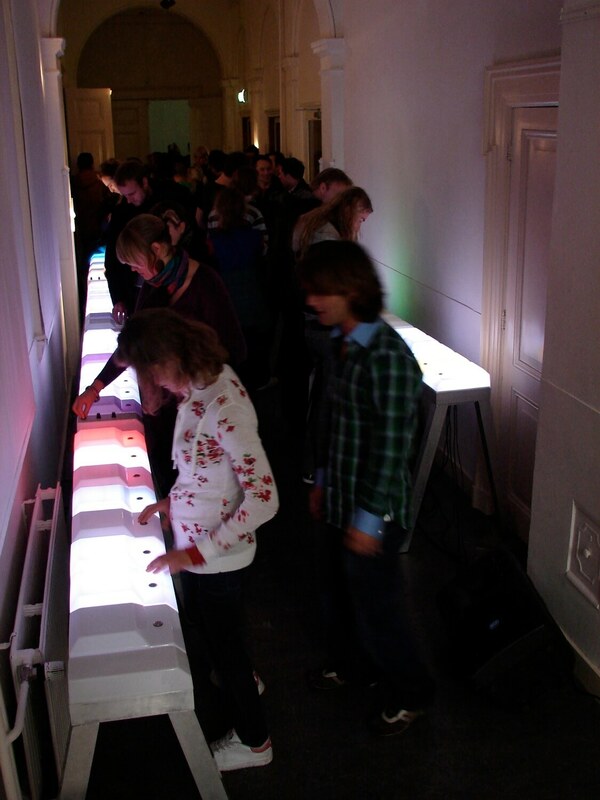 Specifications: 6 freestanding lightboxes made of PET plastic with 8 lit buttons each corresponding to 1 track (sample or sound) that can be played and manipulated by the public. 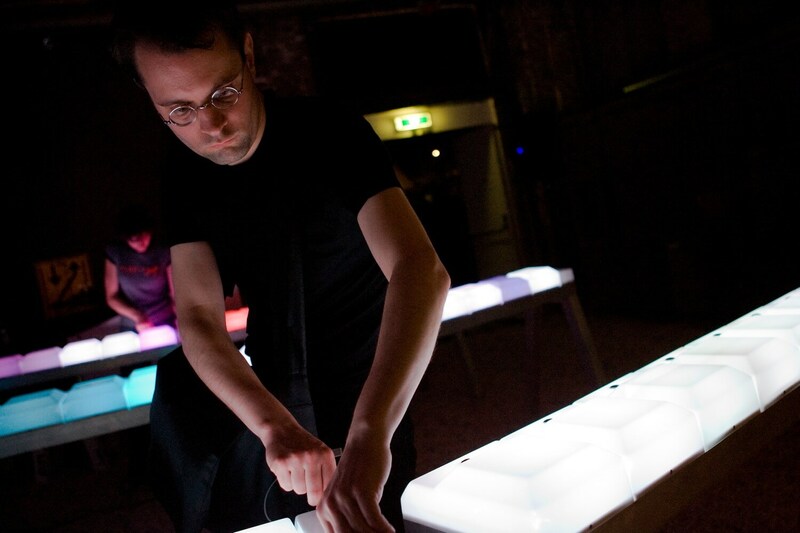 Except for buttons the lightboxes are equipped with knobs that allow the user to control the rhythm, the volume or add effects such as delay, LFO or other. 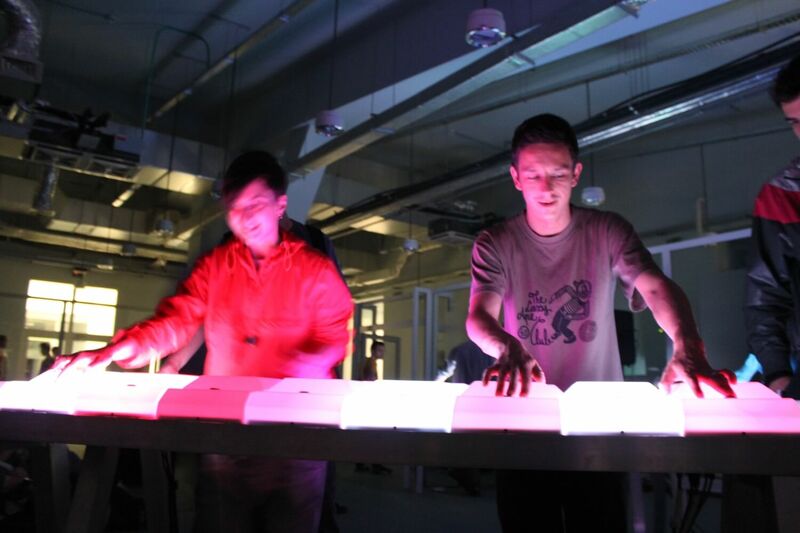 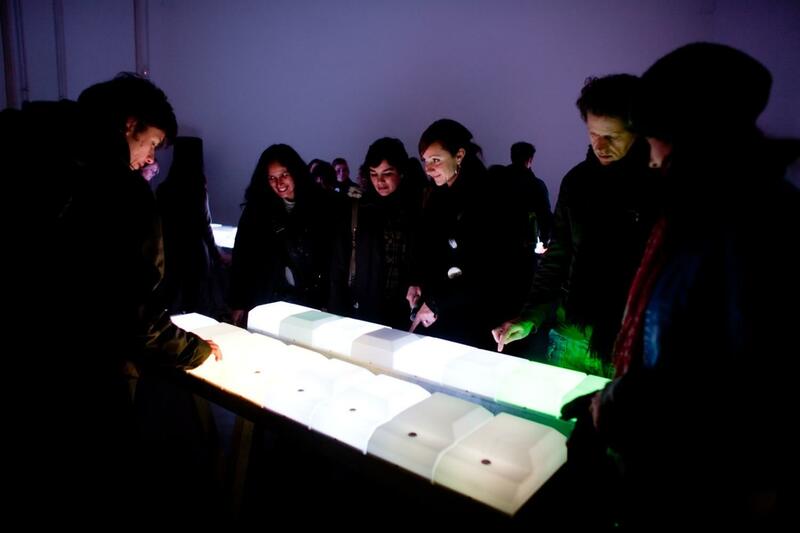 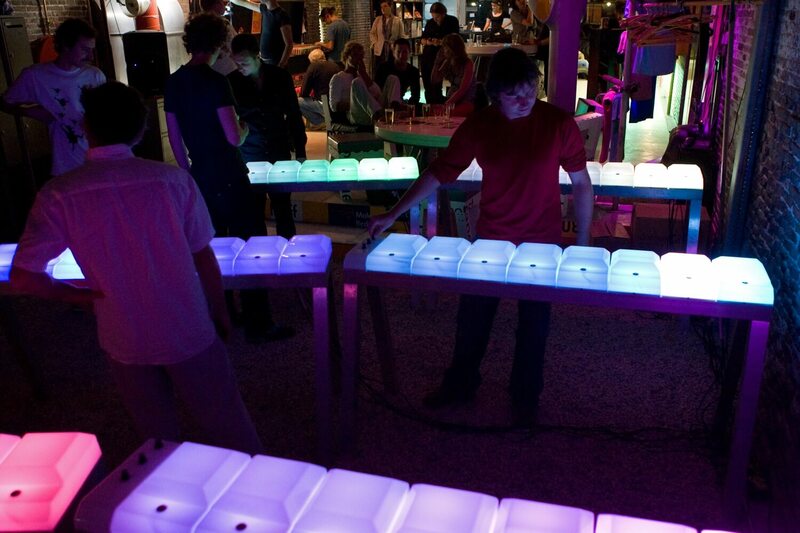 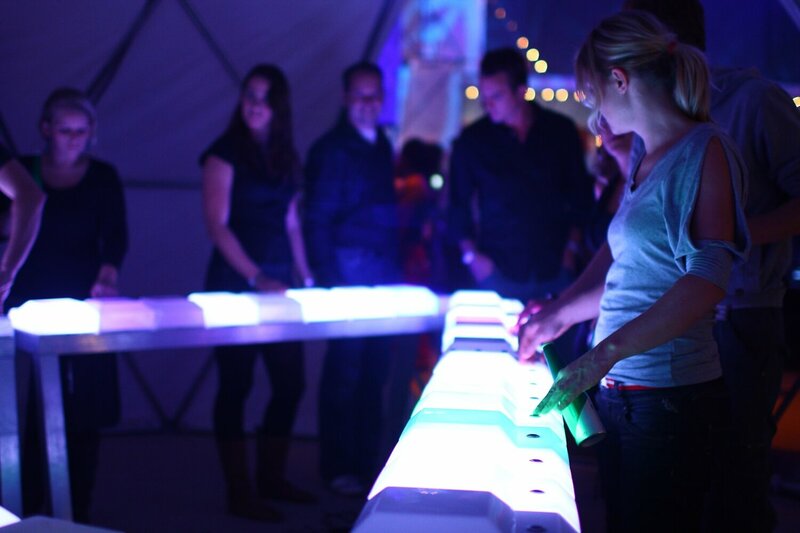 The installation uses Ableton Live that allows to generate the sound. 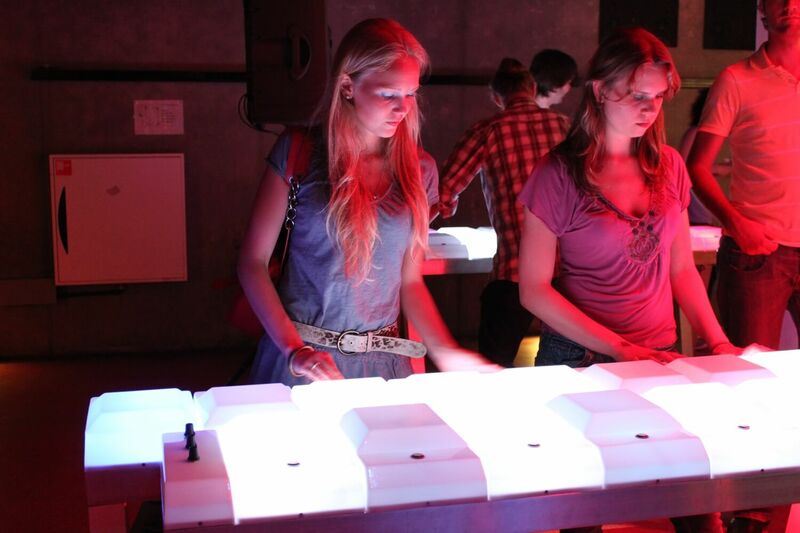 The Lightbox Sequencer 2.0 is a further development of its earlier version. 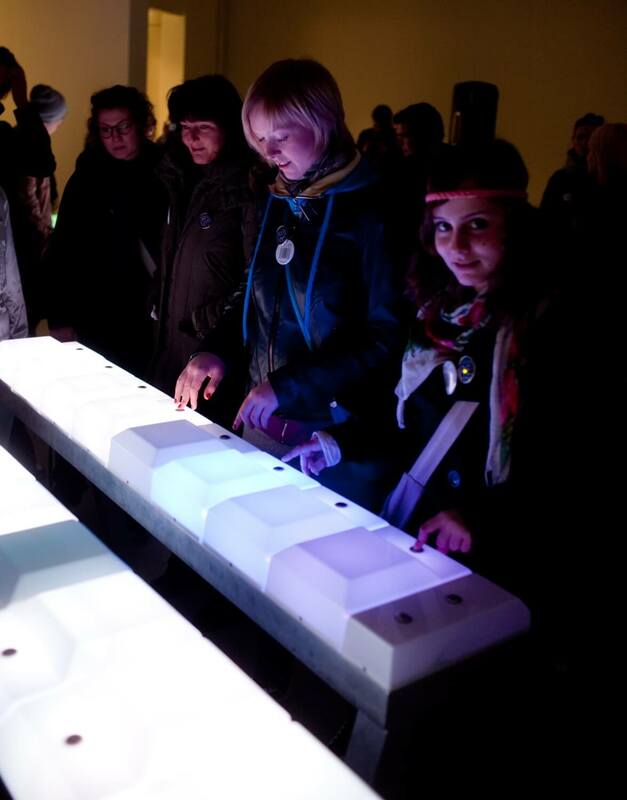 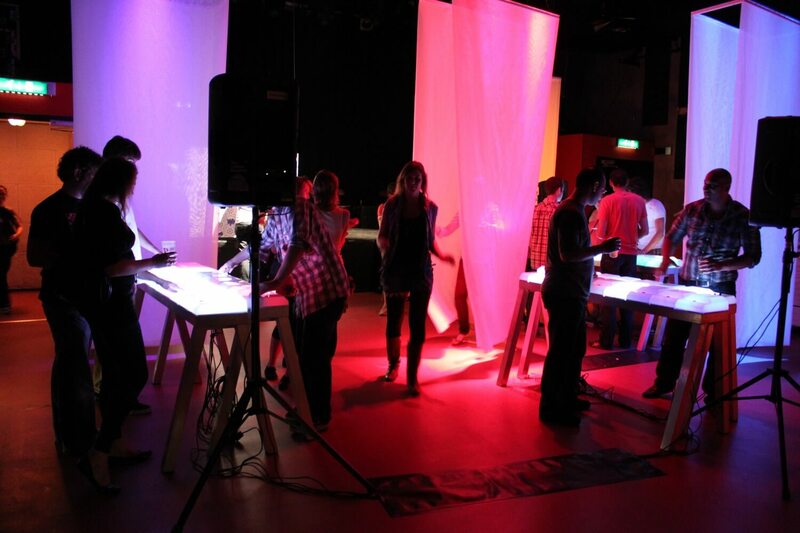 It is an interactive audio-visual installation that invites the public to discover the basics of today’s electronic music through the play of light and sound. 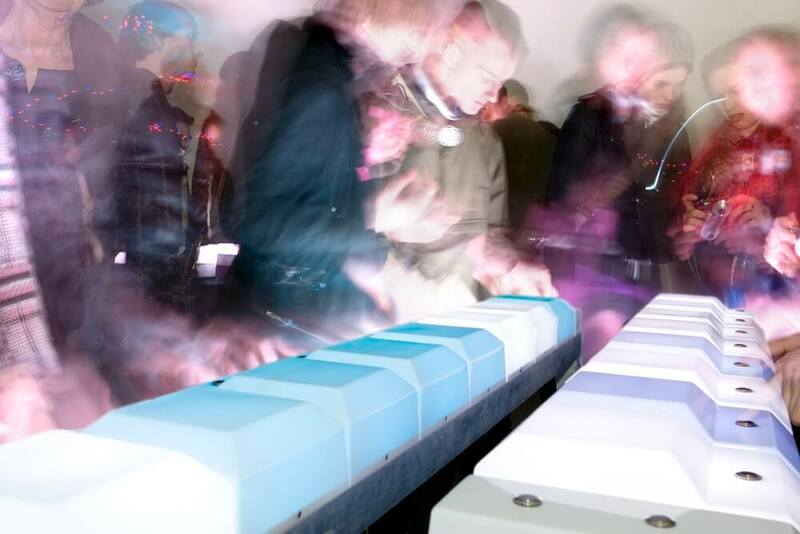 Formally Lightbox Sequencer 2.0 continues the line of thought of its predecessor, but becomes less fragile and therefore more inviting to play and experiment with. 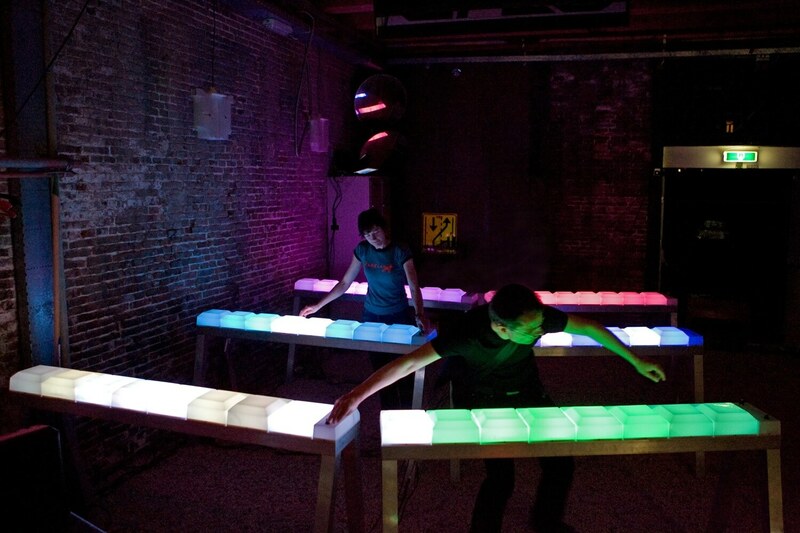 Because making the installation more open (to different possibilities and environments) was at the core of creating a new version, Lightbox Sequencer 2.0 also applies a different approach to its digital and physical construction. Digitally it opens up to endless possible alterations of the programming and therefore the types of sound it can make. 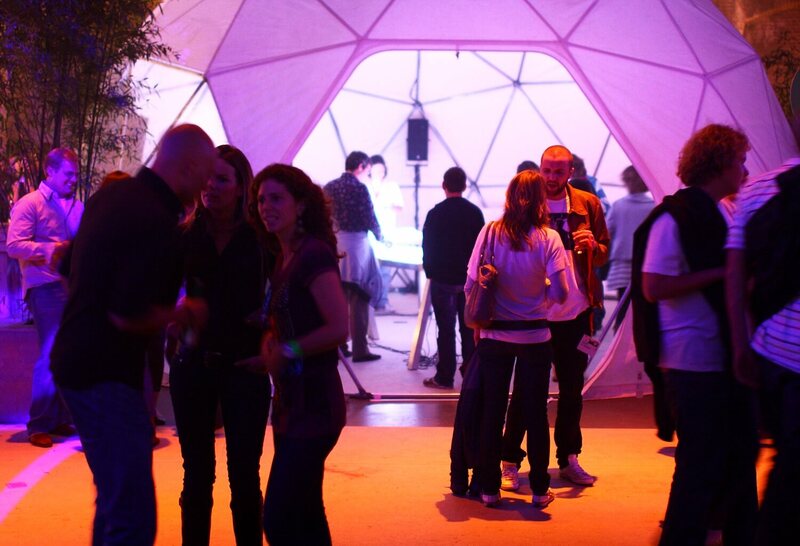 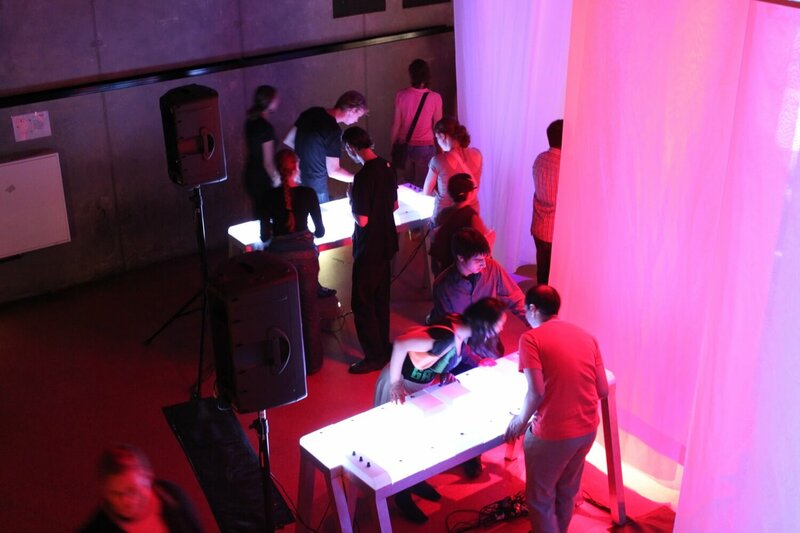 Physically it becomes more open in its spatial use and human interaction. 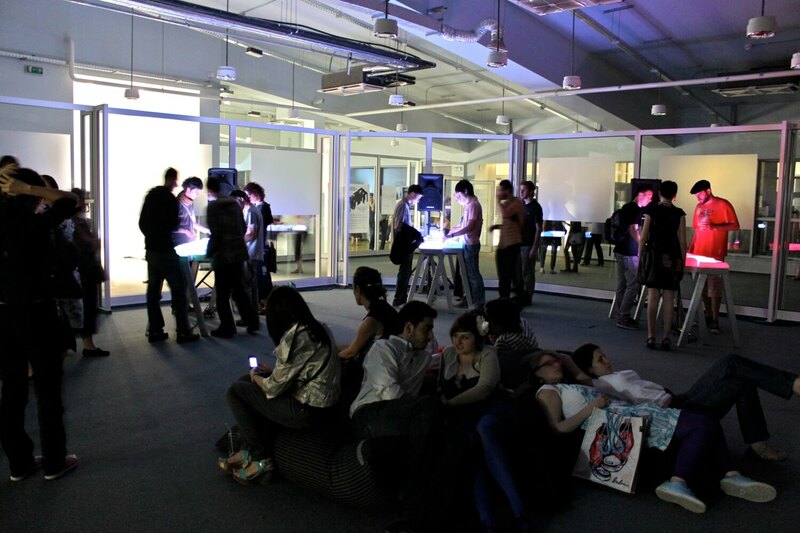 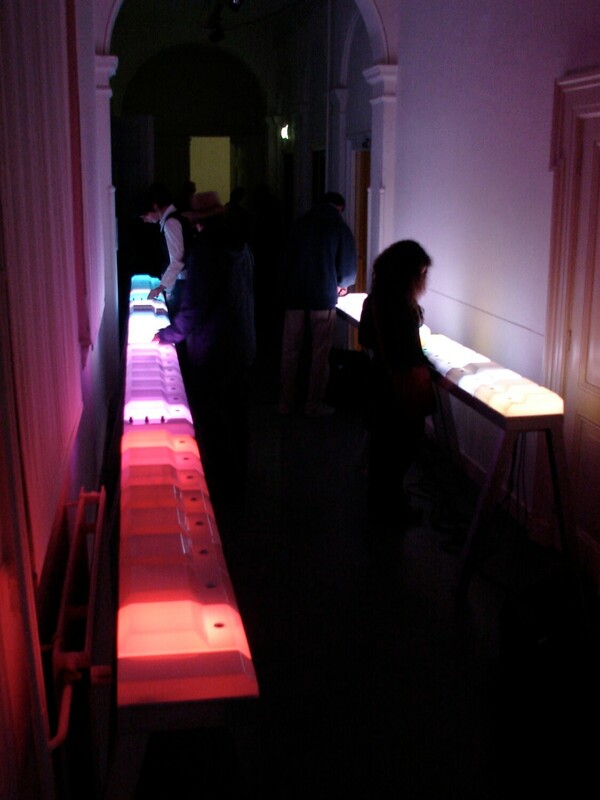 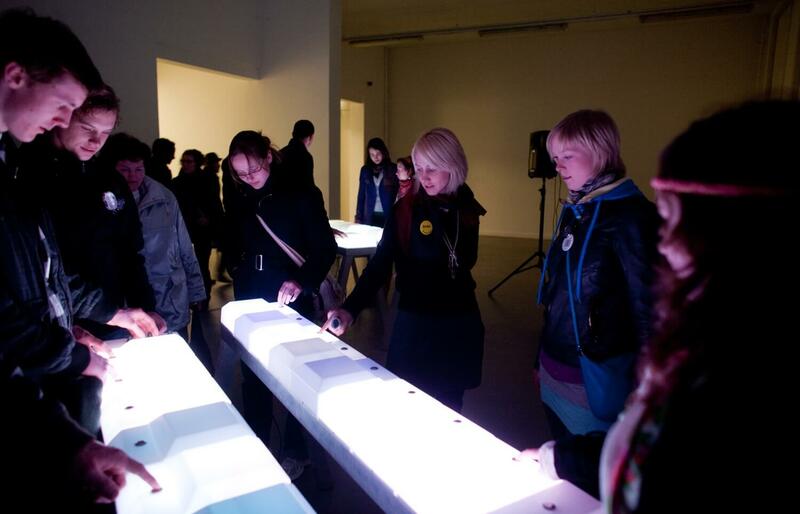 While the Lightbox Sequencer was mounted on a wall placing the interaction between a single person and the artwork at its core, the second version uses tables that can be freely arranged in space and allow eye to eye contact between the people and therefore a more direct interaction between both the artwork and the public.